Is this your first time? Relax! 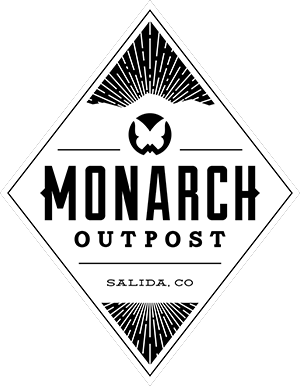 You’re at Monarch, where our friendly staff and simple base area will take the stress out of your first day. Here are a few tips to make sure your first day is a success! We recommend you make reservations. You can book your lift tickets, rental equipment and lessons online at skimonarch.com or by calling us at 719.530.5196. Our reservationists can help you find the best product or package to fit your needs and budget. Reservations must be made at least 48 hours before your arrival. Parking is free and in close proximity to the lodge. If you need rental equipment or a lesson, head to the Rental and Lesson Center building first. It’s the big dome shaped building to the north of the main lodge. If you only need a lift-ticket, step right up to the ticket windows (open at 8:15) which are on the north side of the Lodge, at the top of the stairs leading out of the parking lot. Whether you are skiing or snowboarding, we have everything you need in the Rental and Lesson Center. The RLC is located just north of the Main Lodge it’s the dome-shaped building. Either book online (at least 48 hours before your first day) or sign up at the Reservation Windows, subject to availability, located in the Rental and Lesson Center. Sunscreen! UV rays are intense at high altitudes, even on cloudy days. Remember, weather conditions can change throughout the day. You will want to dress in layers. This will allow you to remove and put layers as the conditions change. Wear one pair of wool or synthetic socks. You want to avoid cotton, and wearing two pairs can hinder your circulation and really make your feet hurt. Waterproof ski pants and a jacket are highly recommended. Don’t own any? We offer top of line pant and jacket rentals for children and adults. Wear a warm hat or a helmet. Helmets are available for rent in the Rental and Lesson Center. Eye protection with UV protection is a must. Goggles are available for purchase in the Outer Edge on the Main level of the lodge. Avoid cotton. It does not insulate when it gets wet, and it will just make you colder. Opt for wool and synthetics, especially as base layers. Wear waterproof gloves, even on a warm day. Warm hands go a long way. There are no fashion police at Monarch! Dress for comfort, warmth and ease of movement. Looking cool is the same as looking warm, we promise. We highly recommend taking a lesson. A lesson is the best investment you will make in skiing. Even if you have been skiing a time or two before, a lesson can be very beneficial. 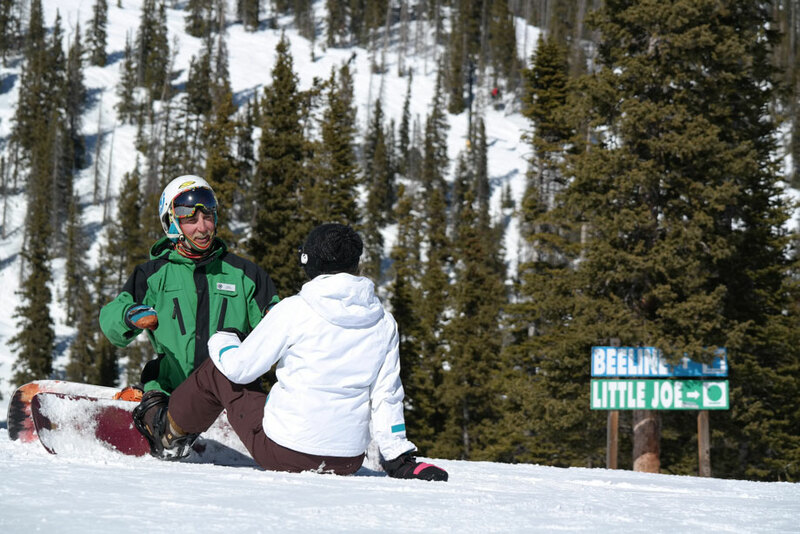 Our professional ski and ride school staff will boost your confidence while guiding you through progressions formulated by the Professional Ski Instructors of America. A private lesson offers one on one instruction and is the fastest and most efficient way to progress. Group lessons offer comradery and support of other students and an opportunity to make lifelong friends. To insure your spot in a group lesson, we recommend making a reservation online at least 48 hours before your lesson. You can also sign up, subject to availability, at the reservation windows in the Rental and Lesson Center. Behind the Rental and Lesson Center, which is the north end of the building. If you are renting equipment and taking a lesson from Monarch, give yourself ample time to get properly fitted for everything you need to rent. Generally, arriving an hour before your lesson will suffice, but if it’s a holiday weekend or Saturday, try to be here by 8:00. Lessons start promptly at 10:00. Be on time, we don’t want you to miss out on any fun! Hydrate, hydrate, hydrate! Be sure to drink plenty of water. You are more active than you may realize and we dehydrate quicker at altitude. Drinking water is the best way to avoid altitude sickness which can affect anyone at any age. This means drink water before you are thirsty. Limit the intake of caffeine and alcohol on your trip, a little goes a long way up here. Bring a water bottle because we have hydration stations throughout the lodge. Make sure you get a good night’s sleep and eat a healthy breakfast. …Oh yeah, and have fun!